Is working with the Trump administration enough reason not to be hired for an amazing job opportunity? A large group of civil rights organizations seem to think so. According to Newsweek, this month, 41 immigration and civil rights groups banded together and signed an open letter to all the companies featured on the Fortune 500 list. In the passionate plea, they urge the most affluent businesses in the United States to take a stance on human rights violations by refusing to hire any Trump administration officials who were involved in the separation of migrant children and parents. Bloomberg reports that the letter, which was published on Friday, was boldly sent to the CEOs of every Fortune 500 company along with the names 30 specific officials who work – or have worked – in the Trump administration. Some of those names include: White House Press Secretary Sarah Huckabee Sanders, former Attorney General Jeff Sessions, Senior Adviser Stephen Miller, Health and Human Services Secretary Alex Azar, and former White House Chief of Staff John Kelly. Although she isn’t named, Homeland Security Secretary Kirstjen Nielsen was just forced to resign as Trump grows more frustrated with the growing number of Central American families crossing the southern border. “Some of these individuals have left the administration in recent months. Regardless of when they leave, they should not be allowed to seek refuge in your boardrooms or corner offices,” the letter reads. The groups, which include the the Southern Poverty Law Center and RAICES also warned the companies against any duplicity. The letter specifically warns any company that may be tempted to publicly denounce Trump’s border policies to then later hire one or more of these high-profile government officials down the road. “Many of you spoke out against this barbaric policy. However strong the opposition, your words are meaningless unless they are backed up with resolute action,” the letter continues. It is no coincident that this strongly worded manifesto was delivered just one day shy of the anniversary of Session’s April 6, 2018, announcement of the Trump administration’s “zero tolerance” immigration policy. 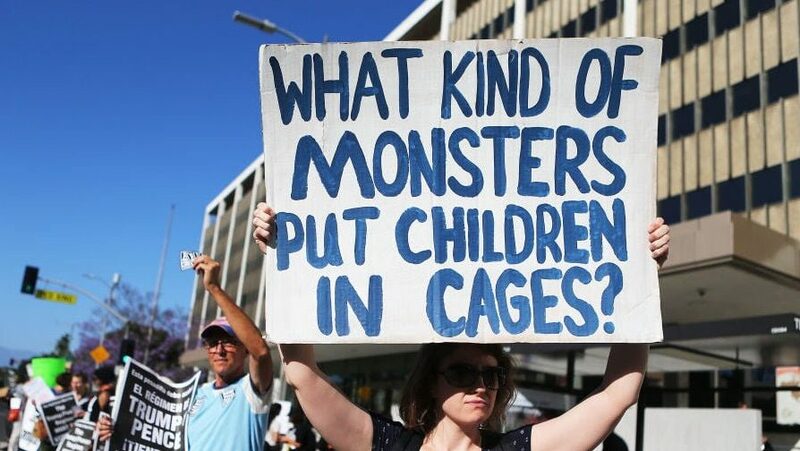 That controversial policy which drew ire and disgust from both sides of the aisle ultimately ended in June 2018, but still led to approximately 3,000 immigrant children being inhumanely separated from their parents and kept in camps with subpar living conditions.